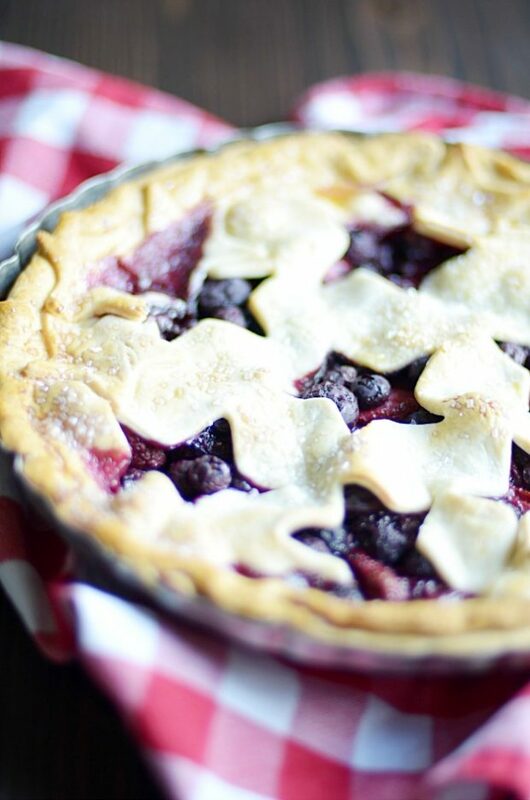 Super simple filling bursting with juicy berries, buttery pie crust, and the 4th of July. What else could you possibly need? I am actually not much of a fruit pie person. Which my husband thinks is insane, because he adores fruit pies. And I adore him, so on occasion I will make a fruit pie just for him. Usually around his birthday or Father’s day. Or, in this case, the 4th of July. 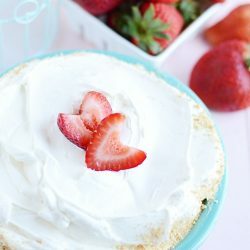 Because even though I’m not a huge pie person, or a huge warmed-up-berries person, something about the 4th of July makes me think that I could be… even if it’s just for the day. 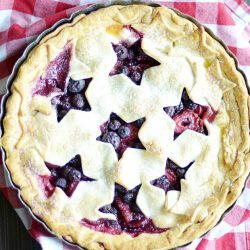 Because what feels more American than eating a pie baked with beautiful, juicy fruit inside?? Side note: I always need vanilla ice cream on my pie. I just do. Ashton’s pie math: more filling = more ice cream. Just be sure to get good, FRESH berries! You can use frozen berries if you have to. But I usually try to avoid it in pie making, because it always seems to water down the filling no matter how I try to compensate. 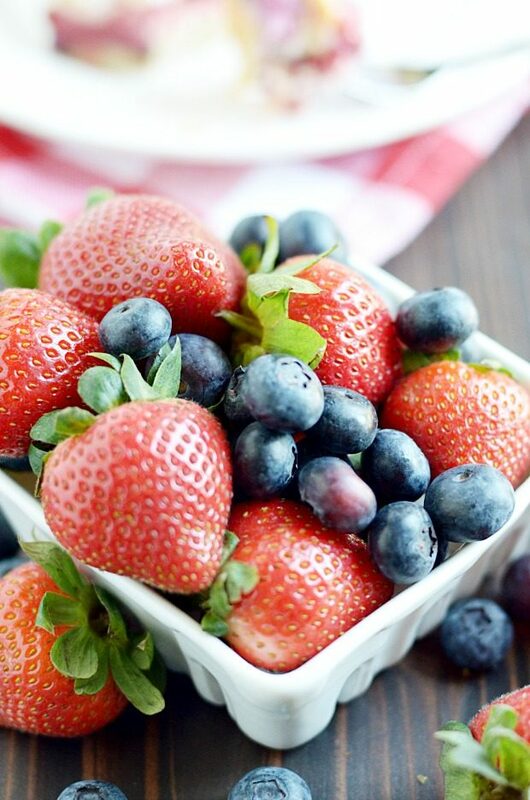 Fortunately, right now is the perfect time of year to find great berries at a great price! 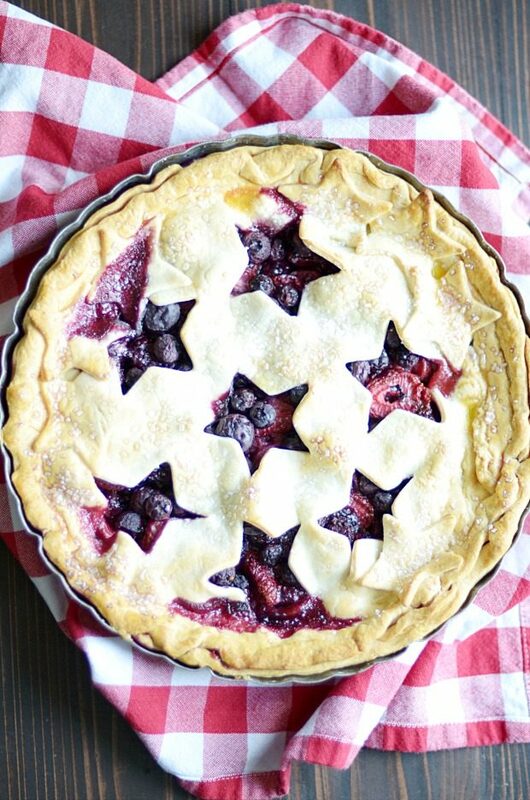 I used a little star cookie cutter on the top crust to make this pie a little more festive for the 4th! It was super easy and cute, but feel free to do a lattice top or even just cut slits if you’d like. 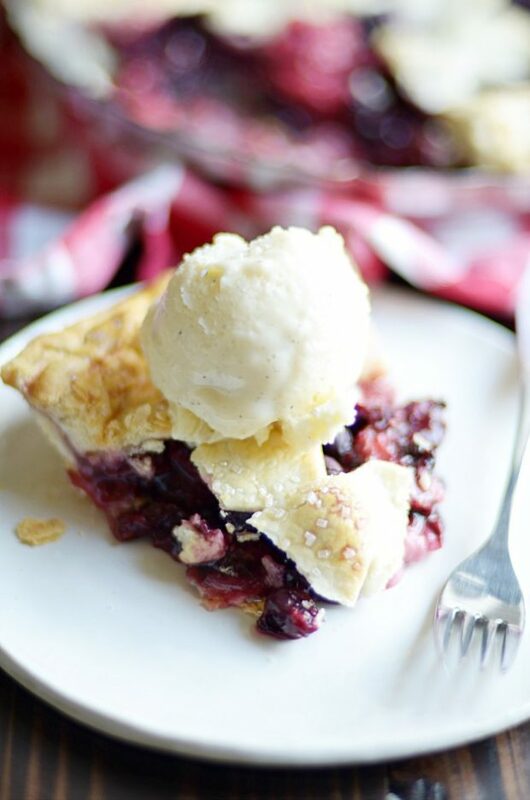 Super simple filling bursting with juicy berries, buttery pie crust, and the 4th of July. What else could you need? Gently place one pie crust in a 9-inch pie dish. Set aside. 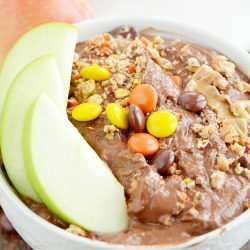 Mix together the sugar, corn starch, and cinnamon. Place all the berries in a large bowl. Pour the sugar mixture over the berries and gently stir to coat. Add the lemon juice to the bowl and gently mix. Pour the berry mixture into the prepared pie crust. Fit the second pie crust over top (if you're going to cut out shapes or do a lattice, be sure to do that beforehand) and crimp the edges with a fork to seal. Whisk the egg together with a tablespoon of water and brush over the top of the crust (use this as a glue if you are adding cut out shapes to the top). Sprinkle with the sanding sugar. Bake for 15 minutes. Turn the heat down to 375ºF and continue to bake for 45 more minutes. Cover the edges of the pie with foil or a crust guard if they start to get too dark. Remove and let rest for at least 15 minutes. (I prefer to serve pie at room temp, so I typically let mine cool overnight).